Wearables are just as much about expressing ourselves through fashion as they are a way to augment and enhance our lives using technology. But creating tech that people want to wear has proven to be extremely challenging. 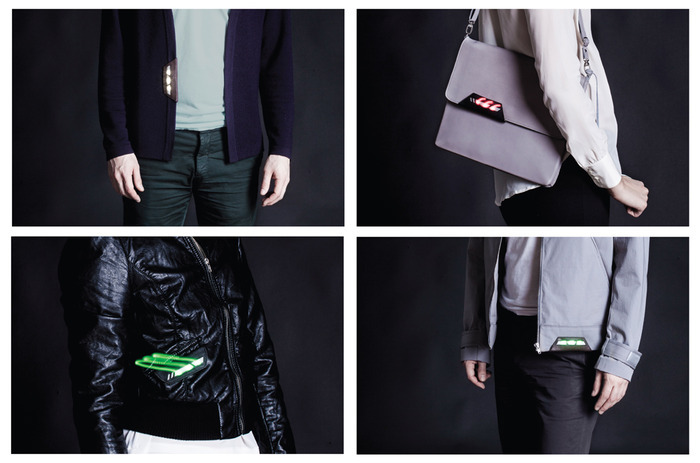 A new project from Toronto’s Social Body Lab hopes to crack the code with a wearable light called Vega Edge. It may seem impossible to use the words “fashionable” and “wearable bike light” in the same sentence but the Edge isn’t a bulky piece of plastic you clip onto your belt and that was by design. Developing technology that people actually want to wear is core to The Social Body Lab, the team behind the Edge. A hub for wearable technology innovation and exploration in Toronto, The Social Body Lab is part of OCAD University and is led by founder and director, Kate Hartman. The Lab recently partnered with Canadian designer, Angella Mackey, who has been working with the concept of fashionable lights for cyclists for over three years. Currently living in Sweden, Mackey has integrated lights into jackets and coats under her brand, Vega. Edge is a way to bring this concept of illuminated outerwear to a wider audience through a form factor that is smaller, simpler and more affordable. Mackey and The Social Body Lab have started a Kickstarter campaign to raise $32,000 for their first production run of a minimum of 500 units. Although they indicate that the Edge will retail for about $100, backers can currently grab the standard Edge which is a trapezoid shape in black leather with white LED lights for $65. This isn’t the first fashionable bike light project we have seen in the crowdfunding space. Back in December, Ohio’s Neo Lux, a jacket lit up with electroluminescent wire, just barely succeeded at raising its $9,000 funding goal. While two active campaigns, Indiegogo’s Glowfaster Clothing and Kickstarter’s Sporty Supaheroe high-tech jacket by Utope are currently struggling to meet their objectives. 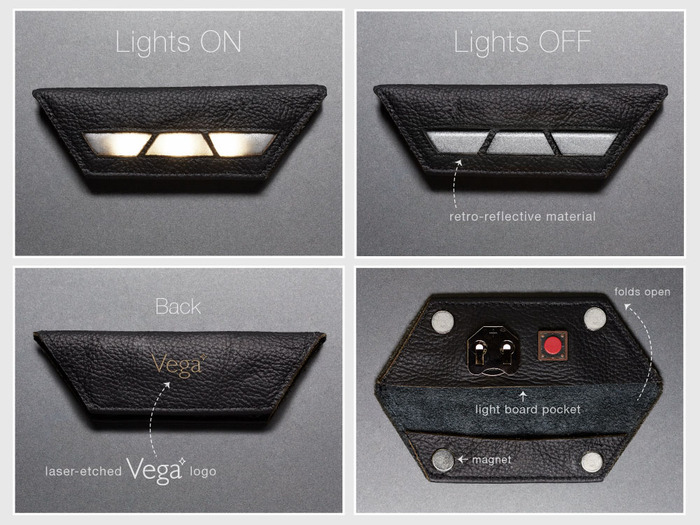 But what sets Vega Edge apart from some of these other illuminated outwear projects is its simplicity, price and more importantly the fact that the Edge can be added to an existing piece of clothing rather than trying to take its place. The Edge does share a common challenge with all wearables which is whether a wider audience is fully ready to wear their tech today. So I suspect that, like smartwatches and smart glasses, the Edge will be purchased and worn by early adopters (fashionistas?) for the time being. But as we become more accustomed to wearables, the idea of using it to express our style will start to be commonplace. What’s great about Vega Edge is that it’s a fantastic way to play with this new type of fashion without having to overcommit. If one day you don’t feel like wearing a light around the city, it comes off in a snap. Just under a year after exiting telehealth startup Akira, founder Dustin Walper has launched Newton with the goal of tackling another challenging industry: crypto….